This steerable, four-wheel drive transporter offers industry-leading power for the inspection of storm drains, sewer, and water pipes 24 inches and larger. Compatible with all Subsite Electronics mainline cameras, the Steerable Storm Drain Tractor can achieve speeds up to 70 feet per minute and supports up to 3,000 feet of Single Conductor cable. Its remote-controlled motorized camera lift aloows the camera to be centered in pipelines up to 60 inches in diameter. Compatible with all Subsite Electronics Mainline Cameras. 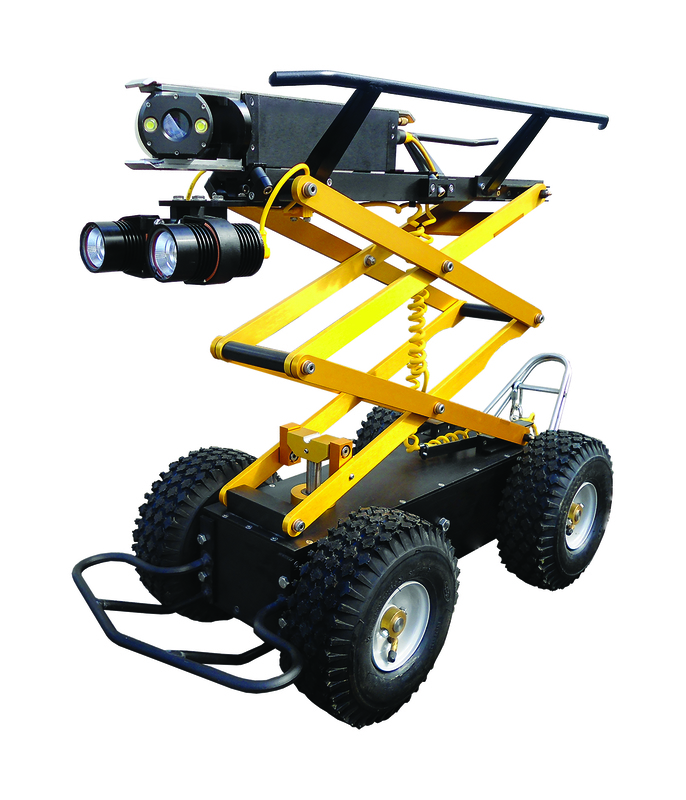 Remote-controlled camera lift centers the camera in up to 60-inch pipe. For pipelines 24 inches and larger. Dual 26W (2600 lumens) adjustable LED light array. Four-wheel drive with high-efficiency gear train. Speeds up to 70 feet per minute. A wide variety of available skids, flotation devices and winch accessories for applications where motorized transporters are not feasible or practical.